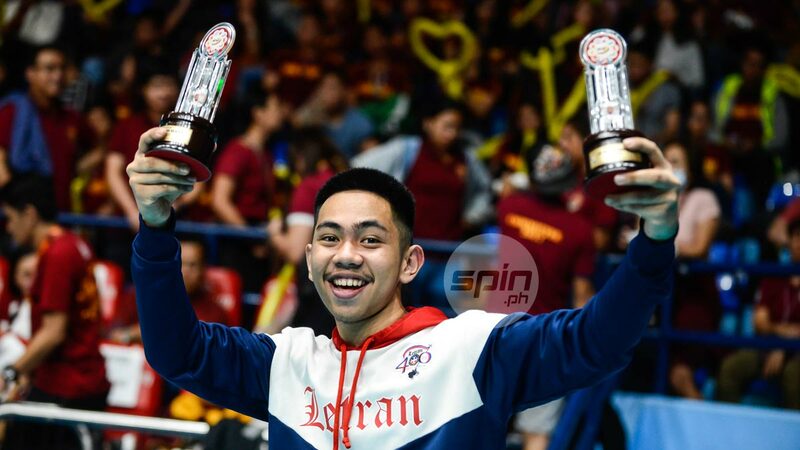 CHRISTIAN Dela Cruz was quick to put Letran’s finals loss behind as he focuses on the beach volleyball juniors competition in the NCAA. The Squires star also refuses to discuss where he will play in college as he relishes the MVP recognition even as Letran was swept in the title series by Perpetual Help. The beach volleyball competition opens on February 22 at Sands by the Bay. "Ginawa naman namin best namin sa finals pero ayun nga, talo,” said the 1st Best Outside hitter of the season. Dela Cruz scored 10 points, nine coming from attacks, and made 14 excellent receptions, in the straight-sets loss to the Junior Altas led by Noel Kampton, who finished with 21 points in the title clincher. “Thankful pa rin kasi natanggap ko 'tong award, first best outside pa hindi ko akalain. Tsaka yung MVP napakalaking award nito para sa akin." "Pinaghandaan namin pero may kulang talaga eh,” he added.